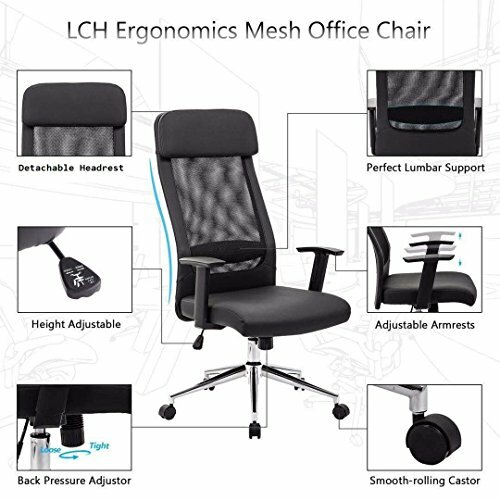 【MESH&LEATHER OFFICE CHAIR】- Ergonomic High back office chair with a breathable mesh back and padded leather seat, sit relaxed in a thoughtfully designed desk chair that adjusts according to your needs. 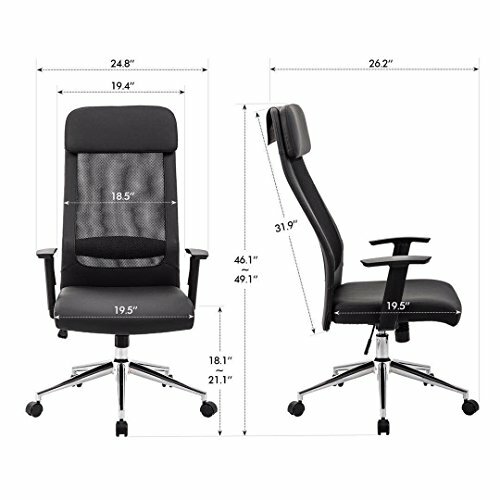 【EXTRA HIGH BACK】- Extend the height of back support, could being use for these people who is taller than 6FT, Adjustable T shape armrests which could provide maximum support for your arms. 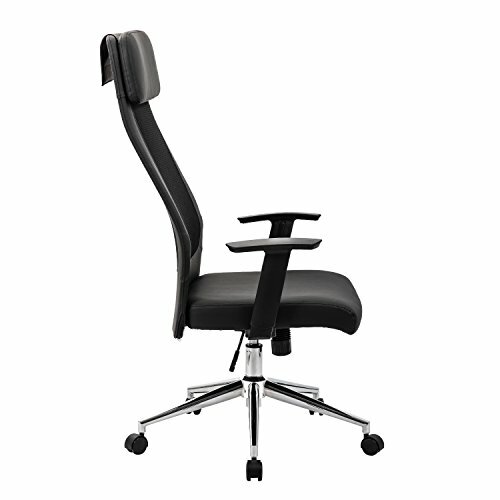 【FULLY ADJUSTABLE】- Simple pneumatic controls let you raise or lower your seat and rock back in your chair. 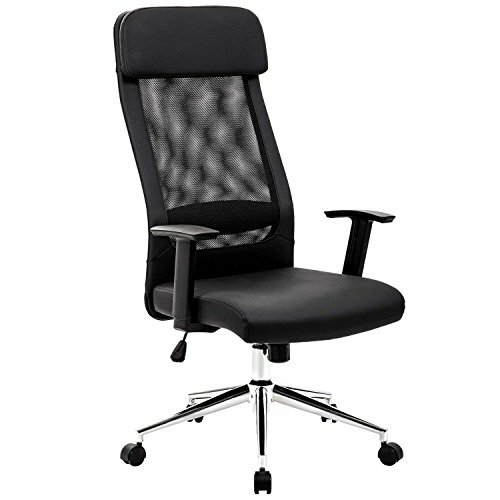 Pulling out on the control handle, which allows your chair to tilt back, and push the control handle in to prevent it from tilting, The adjustable armrests easily adjusts to your needs with height. 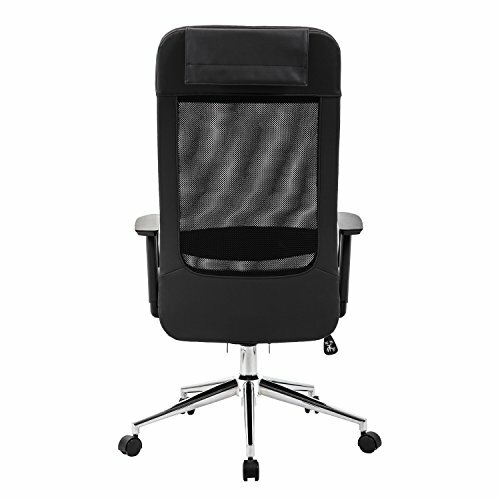 【SOLID CONSTRUCTION】- The office chair has a heavy duty nylon base and nylon rolling casters that make it incredibly easy to move around but also keep you steady when you need to work. 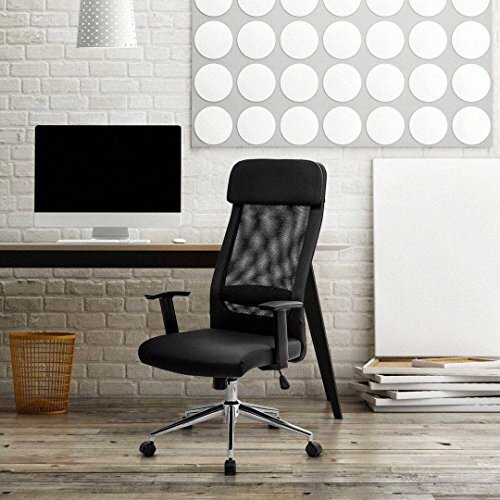 The chair can withstand up to 250 pounds for best results and it is very easy to assemble and set up. 【RISK FREE PURCHASE】- Easy assembly upon arrival. Buy with confidence! 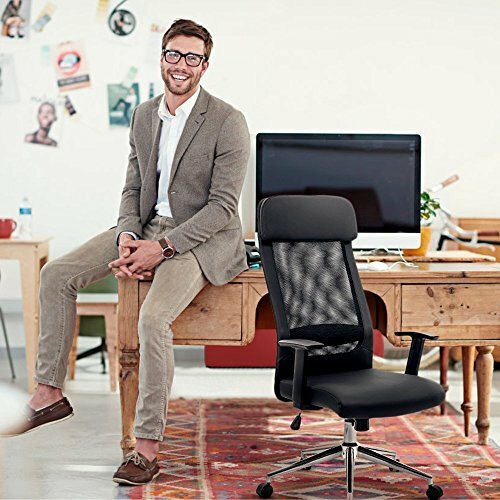 Your satisfaction is backed by our Risk-free 30 Day Money Back Guarantee, and 1 Year Warranty against any defects. Give it a chance, you will have a better life!